Our Mission: "To promote community and development by connecting people, ideas and resources. "Around The Corner, Around The World"' We Offer Affordable, Lasting And Effective Community Advertising. We Hope Your Stay With Us Is Pleasant And Informative. A warm welcome to the Town of Milton, where a unique blend of town and country makes our community an ideal place to live, work and play. 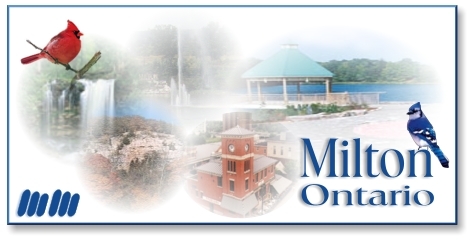 Milton is nestled alongside the picturesque Niagara Escarpment where you will unearth a multitude of friendly people and a community with captivating "hometown" charm. Milton offers a generous slice of old-fashioned warmth and hospitality to visitors, residents and businesses. Milton is centrally located within minutes of such cities as Mississauga, Toronto, Oakville and Burlington. Affordable housing, an expanding employment base and an excellent educational system are all reasons to place Milton at the top of your list of places to visit.